Our second stop in Moab was to Canyonlands National Park, which, as the name suggests, is full of canyons. About an hour from Moab, the park is massive. There are a number of different viewing points, loads of trails and even one canyon rim that would take two days to drive around. But in the absence of a 4WD, we stuck to the viewpoints of Mesa Arch, Green River, Grand View, Needles and Wooden Shoe. The sights were beautiful but in the middle of summer, the best bet is to visit early morning or late afternoon. We were rewarded with the best light in the afternoon at Grand View Viewpoint, which is my favourite photo from the set. 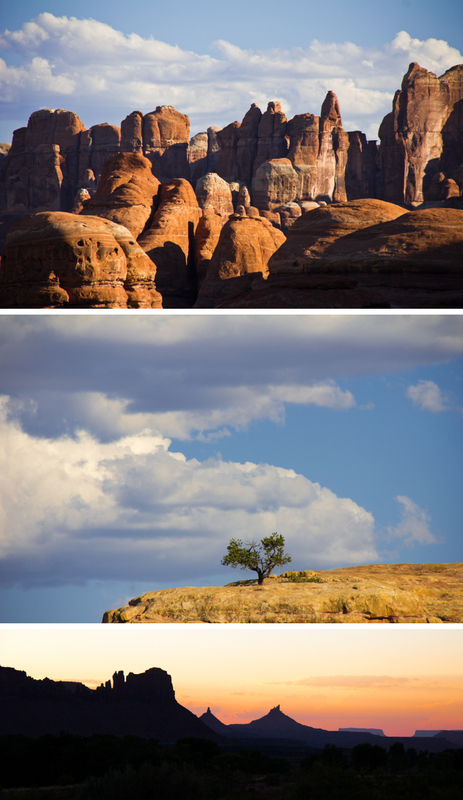 Between all of that and Arches, I am almost convinced that Utah is made entirely of National Parks.